Who was Jesus Christ and what is Christianity? Historically, Jesus of Nazareth was a carpenter and teacher who lived in Galilee during the first century. His teachings are the core foundation of Christianity. Christianity was derived from Judaism and the Hebrew Old Testament writings. Although Jesus did not teach anything radically different from the Old Testament, He simplified the main points so that people could not escape into a pure exercise of religious ceremonies. The Bible is the core foundation of the Christian faith. 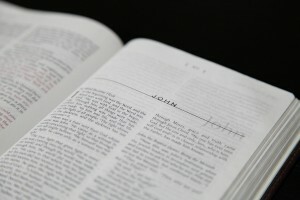 It is separated into 2 parts, The Old Testament and The New Testament. If you do not have a Bible, you can always find one at a local book store, a local church, download a Bible app or read it online. Whilst we put no Bible translation ahead of another, the New King James version (NKJ) or the New International Version (NIV 1984 edition) is a good place to start. The next thing you would want to do is seek other liked minded Christians. Find local community leaders, pastors, prayer groups or mentors/teachers who can help guide you. For this reason we invite you to come to our church. Listen to us worship the Lord and listen to the prayers we pray and to also listen to the sermon to help give us guidance. If you like it, then come back, and keep coming back. How do I join Christianity to become a Christian? Joining Christianity is an interesting phrase because it indicates a kind of membership, a club of sorts. Jesus’s offer is open to everyone as his death purchased our lives and his sacrifice made us clean in the sight of God. To become a Christian, all you need to do is accept Jesus in your heart, not just in your mind. To ask forgiveness for your sins and that you regret and are sorry for the sins you have committed (repentance). Recognise that there is a part of you that will struggle with the concept of unconditional love, recognise that we have all done wrong in the eyes of God, even if we cannot see it ourselves. It sounds easy, yet for some it can be an incredibly difficult yet life changing experience. Once you have accepted God, seek out other people from the church, including the Pastor, and celebrate your acceptance of Christ. They will be able to guide you further in your new life as a Christian.